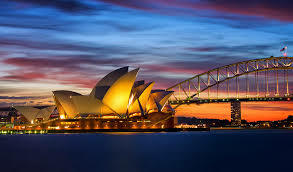 What do you do if you have to leave Sydney? Please bookmark the Top 100 Club Page just in case you do end up traveling to any of the following destinations, we want you back here in Sydney. Now, I have to admit I don’t really understand why you would want to leave Sydney but I’m sure you have your reasons. Now, look, we will still be here whilst you are gone and we won’t hold it against you for leaving. We are just a little sad that you have to go but hey, don’t feel bad, just come back. Still not quite convinced you should go so I thought we should just point out that you’d be missing the most beautiful harbour in the world, the stunning Opera House and Harbour Bridge, National Parks, Beaches and what about us locals, we quite like having you around – please stay a while. This entertaining read covers more material than is available from the website as well as providing a guarantee that you will save more than the cost of the book and allows you relive some of your experiences whilst you were here. Queensland is big, big and beautiful. Most people live in the south eastern corner of the state whilst further north, in fact a lot further north, is a tropical paradise with scenery unsurpassable and a people to match. Most of the top things to do in Queensland tend to be centred around the tropical region of Queensland but the Gold Coast, Queensland’s south east’s main attraction, does make the top 10. NYNY100 is here to guide you to the top 100 plus places and things to do whilst in New York. Not only the biggies but also those places where visitors rarely go, places where New Yorkers do New York things. Just one day in the Big Apple? The top 100 New York things to do list, particularly for the one-day visitor to New York, might seem a bit much. As soon as you think you’ve worked out what it is you want to see, you click on to the next page and find something else you simply ‘must-do”. Don’t fret, you can return. The major attractions like Times Square, the Statue of Liberty, the Metropolitan Museum of Art, the Museum of Modern Art (better known as MoMA) are all there of course, but there’s quite a few you’ve never even heard of. With so much to do and on offer to the visitor there is really only one certainty, you won’t run out of things to do whilst in New York, New York. Los Angeles is the biggest city in the United States excluding New York City. LA’s inhabitants are often referred to as “Angelenos“. Los Angeles boasts many peoples from many different backgrounds and cultures, it is not surprising really that LA is a marvel with many different faces. If you work your way through the LATop100 list (or the top 100 things to do in Los Angeles) you will begin to see that a smorgasbord of delights await your visiting pleasure. If you are planning on a trip to London you will be confronted with a big problem. What to do? There is just so much and, seemingly, never enough time to do it all. There are hundreds of places to go and even more things to see and do. It’s just too hard. Maybe it’s best to stay at home. No! It’s London’s Top 100 Things to do to the rescue! Through the top 100 list you’ll find all the top things to do in London including magnificent architecture, the pageant and finery of Royalty, history and more history, parks, zoos, boat rides and theme parks. The best thing of all though that you can do, is just to get out there and enjoy London and get ready to have a great time! It’s really unfair on the rest of the planet but there you go, two of the world’s greatest cities are but a short train ride apart. Paris is almost a must do if you are in London and Paris even makes the London Top 100 (plus) list. It’s quicker to get to Paris than it is to visit many of the cities in Northern England. Possibly the only time the capital of another country makes a list of top things to do. Unsurprisingly, Paris’ many fine buildings, towers and museums dominate the list but there is still room for some unexpected and lessor known attractions to visit. You just may need to dig down the list a little. Top 100 Sydney Things to do : Romantic Things to do and why go so far?